GREENWICH Councillors backed plans to redevelop John Roan secondary school at a Planning Board meeting last week. John Roan's Lower School in Westcombe Park Road will be demolished and replaced with a brand new school building, while the historic Upper School is to be refurbished and have new covered courtyards. Parents of the children who attended the meeting were left angry by having to wait through the lengthy Shooters Hill Equestrian Centre planning application, calling it a "disgrace" when councillors finally got to consider the John Roan scheme late on Thursday night. But frustration at the meeting's agenda turned to jubilation at its decision, as councillors on the Planning Board supported the proposals. 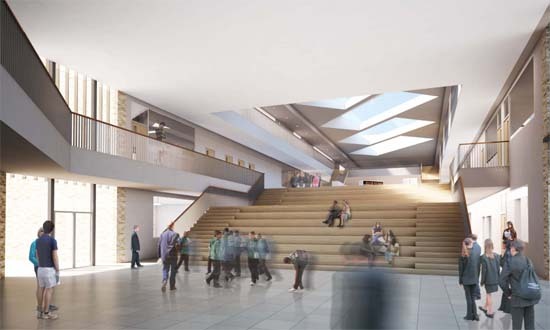 The plans, which Greenwich.co.uk first reported on in August, received the unanimous support of councillors. One John Roan student impressed councillors with an impassioned plea to back the proposal, with Cllr Hayley Fletcher telling her: "You are a credit to your school and I hope the new school buildings are a credit to you." PLANNING applications for the redevelopment of John Roan School have been submitted, along with proposals to temporarily move hundreds of pupils to a former school in Royal Hill. The John Roan Lower School in Westcombe Park Road is set to be completely demolished and replaced with a new 7,845 m2 campus. 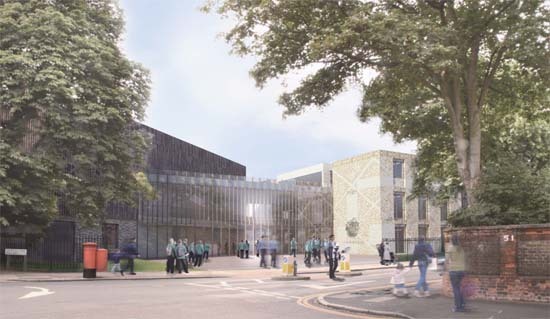 Using a "marketplace" design concept, the redeveloped site will comprise of a main academic block and a dedicated sports block with state of the art facilities and a drama studio. A new "entrance plaza" will be created for "public safety" and to "minimize disruption along Westcombe Park Road." The Grade-II listed Upper School in Maze Hill will be refurbished throughout with the original building "returned to its former glory". The gymnasium will be converted to a dedicated 6th form facility and new ICT facilities will be added. 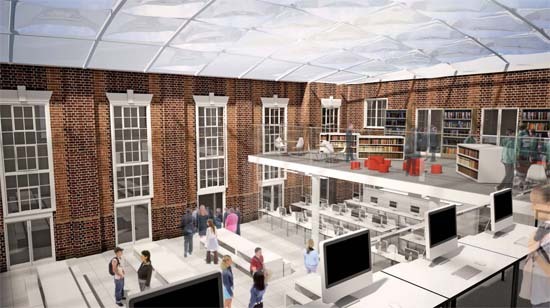 Two previously infilled courtyards will be opened up to create new "covered dining, social and break-out areas." The project, which already secured funded from the Building Schools for the Future initiative, could begin early next year and take two years to complete. 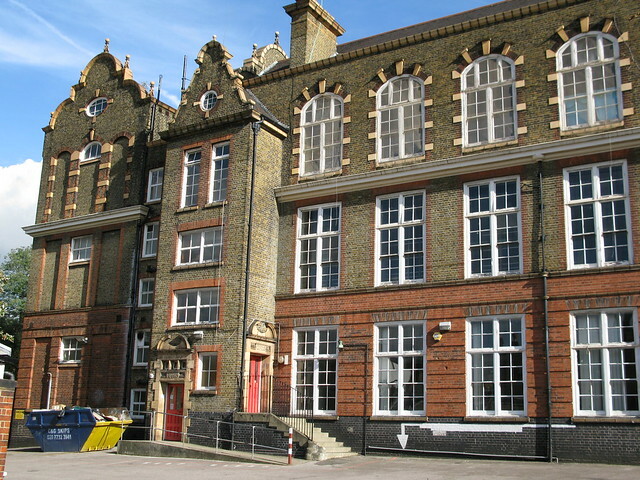 To enable teaching to carry on throughout the redevelopment, it is also proposed that about 400 year-10 and year-11 students be temporarily "decanted" to the Victorian school building in Royal Hill, Greenwich. 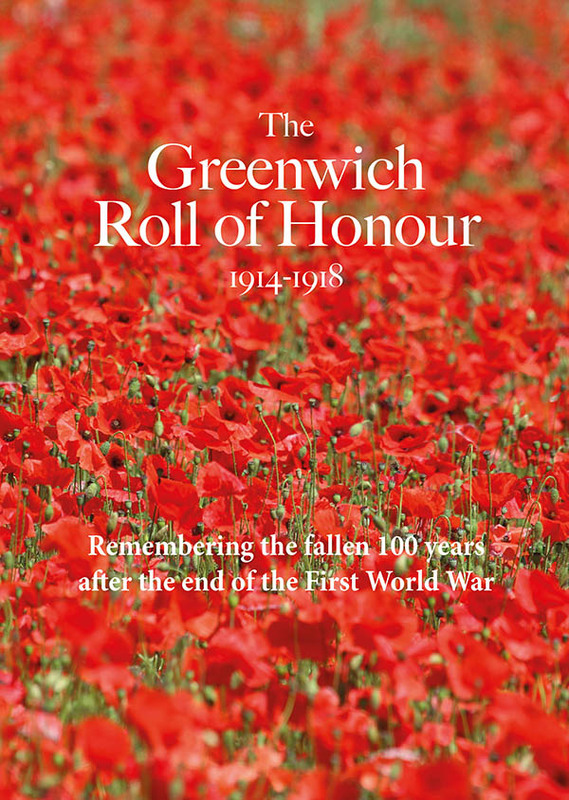 The school is named after its founder, John Roan, who died in the seventeenth century and bequeathed money for the education of the "poor town-bred children of Greenwich". 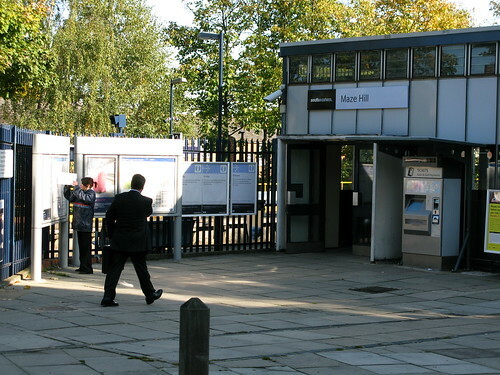 The school has had various incarnations at several sites for boys and girls in the borough, before coming together in a new mixed Comprehensive school in the early 1980s. Controversial plans to move the John Roan School to Greenwich Peninsula were dropped in 2009. Victorian school in Royal Hill where it is proposed that year-10 and year-11 students be relocated to while the John Roan redevelopment takes place. The Andrew Gibb Memorial in Blackheath at the junction of Maze Hill and Charlton Way has been struck by vandals. 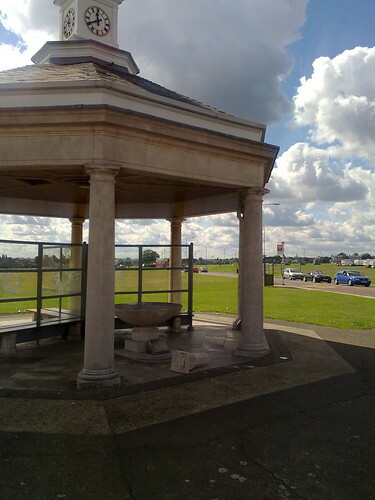 The memorial, which is opposite the Greenwich Park war memorial and comprises of a water fountain under an impressive eight-sided shelter, was badly damaged in the attack which is believed to have happened sometime on Thursday night. 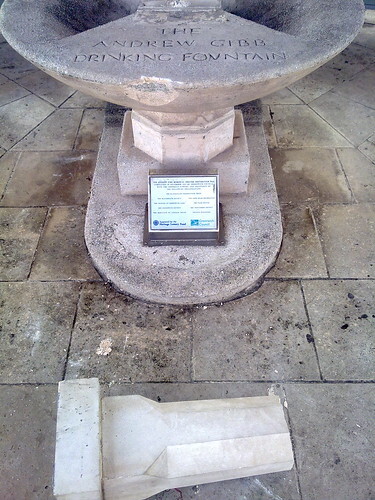 The stone obelisk has been smashed from its fixings on the fountain and then broken into pieces. I understand that although the panes of glass are smashed frequently, this may be the first time the obelisk has been so badly damaged since the £100,000 refurbishment in 2003. The damage was spotted by local resident, Mr M Qavi, shortly after 1pm on Friday and quickly reported to the council. 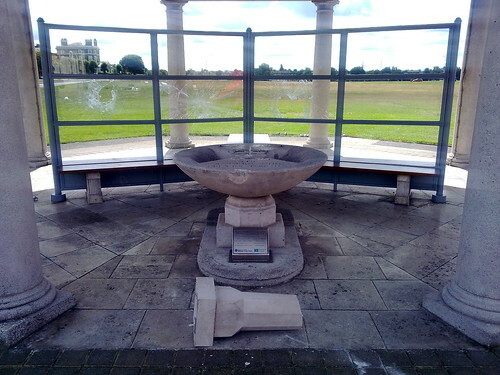 He told Greenwich.co.uk "that the Councillors and the Council Officials responded immediately by sending out a team to remove the stone ball and glass shards". Ward councillor, Alex Grant, visited the memorial to view the damage for himself on Friday afternoon. Andrew Gibb was a local ship-repairer who lived at Garthlands in Westcombe Park, as well being a philanthropist and one of the first Aldermen of the Metropolitan Borough of Greenwich. According to the Greenwich Council website, he left £1,200 for the erection of a public water fountain when he died in 1908. You can see how the Andrew Gibb Memorial looked before the vandalism here and here. John Roan School has been praised in its latest Ofsted inspection. The report describes the impact of the recently appointed head, noting his "good leadership" and that he has been a "driving force for change" in galvanising the staff. Behaviour in the classrooms is described as "good" and there are apparently few instances of bullying in what is described as a "racially harmonious" environment. However, the report does say that teaching can vary between "outstanding and inadequate" and the teachers don't make good enough use of ICT. Have you noticed improvements at John Roan School? One parent told me, via Twitter, "the place is still a shambles - no reports this term as they as a computer virus". Please post your thoughts in the coments form below. The inspection was carried out at the school, in Maze Hill, on March 17th and 18th. Read the full report here.